This spring, the Vancouver Inter-Cultural Orchestra is honoured to host international guest stars Tsunao Yamai (renowned Noh performer) andNaomi Sato (virtuoso sho player) in CHRYSANTHEMUMS & MAPLE LEAVES, a festival showcasing Japanese music in myriad forms, from the centuries-old traditions of Noh theatre to contemporary music for soloists, small ensembles and intercultural orchestra. 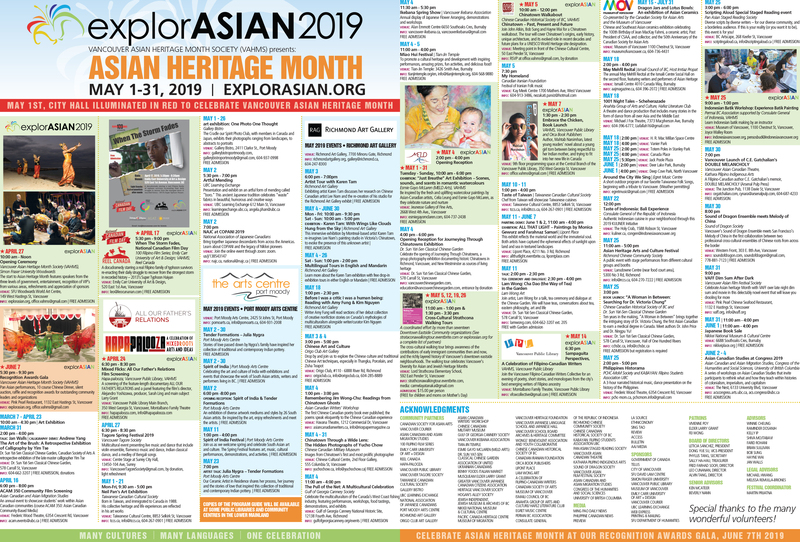 In addition to six free public educational events in Burnaby, Vancouver and Victoria, CHRYSANTHEMUMS & MAPLE LEAVES includes two flagship concerts: “Noh/Sho Meets Canada” at the Nikkei Centre on May 12, and “Naomi Sato with Vancouver Inter-Cultural Orchestra” at The Roundhouse on May 18. A quartet comprised of Naomi Sato (sho) and local Japanese musicians Yuriko Nariya (koto), Kozue Matsumoto (koto) and Minoru Yamamoto (shakuhachi) will perform a concert of traditional Japanese music and contemporary Japanese/Canadian compositions. At this event VICO and the Nikkei Centre are honoured to co-present world-renowned Noh performer Tsunao Yamai, who will be appearing in Vancouver as part of his “Noh Meets Canada” tour (produced by the Consulate-General of Japan in Vancouver with support from the Agency of Cultural Affairs, Government of Japan). 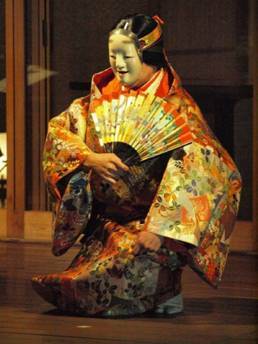 This is a rare opportunity to see an intimate performance by one of Japan’s most respected players and leaders of this ancient and profound form of theatrical expression. 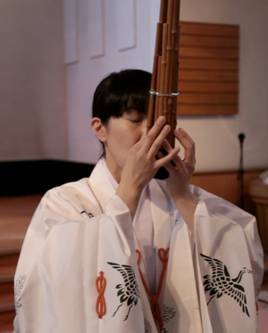 In addition to a performance by Mr. Yamai and his ensemble, the programme will include traditional music for solo sho, koto & shakuhachi; a duet for two koto by Tadao Sayai titled Tsuchi Ningyo; Chidori No Kyoku by 19th-century Japanese composer Kengyo Yoshizawa (in a new arrangement by Mark Armanini for two koto, sho and shakuhachi); and, by special arrangement, a collaboration between all the participating artists (including Ms. Sato, Mr. Yamai and an 8-piece traditional ensemble). In the culminating event of the “Chrysanthemums & Maple Leaves” festival, virtuoso sho (Japanese mouth organ) player Naomi Sato will join the Vancouver Inter-Cultural Orchestra to perform music by contemporary Canadian and Japanese composers, including Minoru Miki, Arata Kobayashi and Mark Armanini, as well as Greek composer Basil Athanasiadis and Chinese composer Wenchen Qin. The featured works include a chamber piece by Victoria-based composerStefan Maier for sho, flute and clarinet, and the Canadian premiere of axiom praxis, a concerto for sho by Farshid Samandari. With Western strings, erhu, koto, shakuhachi, sho, flute, clarinet and percussion all sharing the stage, this is world music like you’ve never heard it before – a ground-breaking fusion of tradition and innovation. The Vancouver Inter-Cultural Orchestra gratefully acknowledges the support of the following funders and sponsors for CHRYSANTHEMUMS & MAPLE LEAVES: the Canada Council for the Arts, the Province of BC (Community Gaming & BC Multiculturalism), the Hamber Foundation, the City of Vancouver, Festivals Burnaby, the Consulate General of Japan, National Association of Japanese Canadians, Listel Hotel, OMNI Diversity Television, and artsVest Vancouver. The VICO, founded in 2001, was one of the first concert orchestras in the world devoted specifically to performing new intercultural music on a grand scale. It is currently the only professional ensemble of its kind in Canada, and (as far as we know) one of only a handful that exist in the world. The VICO brings together musicians and composers from many cultural and artistic communities in the Lower Mainland, including Chinese, Taiwanese, Japanese, Indian, Persian (Iranian) and Middle Eastern, Latin and South American, Vietnamese, African, North American and European.